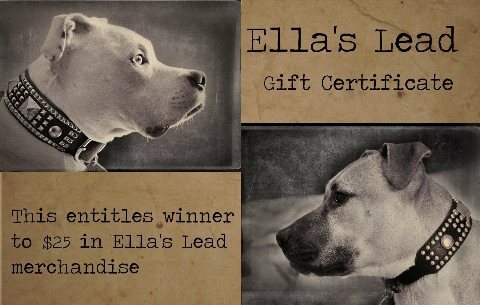 Who wants a chance at winning a $25 GC to go towards your next Ella's Lead purchase? If so, then this is simple. Leave a comment with your first AND last name, and we'll pick a winner this Friday, 8/16/2013. Congrats, Lynne! And thank you to all who participated! Lynne, contact us at orders@gmail.com to claim your GC.